I am. Star Trek demonstrated all the things that held fascination for me while becoming an adult: being part of a larger team, new technology, conflict, and a group of people trying to make a difference in their part of the universe. 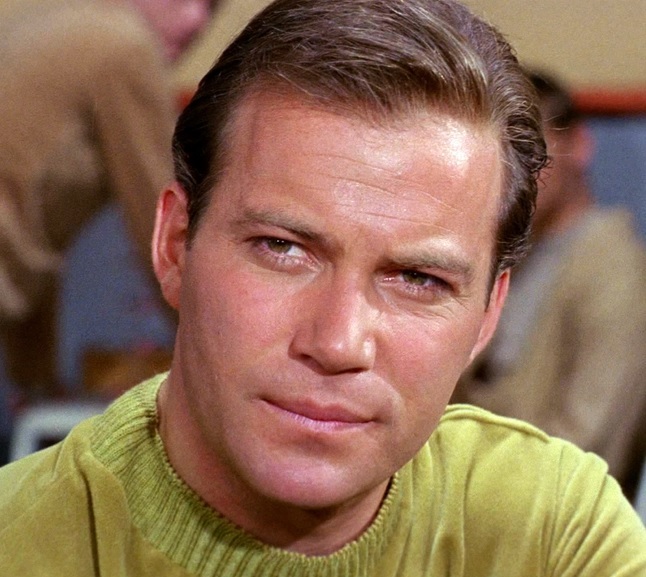 How many series have been part of the Star Trek franchise? How many movies? I'm sure some Trekkie fans are out there on Reddit who know the answer(s) to those questions. I've watched a lot of Star Trek: I've watched most of the original series, and much of the content that Netflix has to offer; I like the real-life lessons that are interwoven into the series, and how the authors use exciting plot details to convey a larger message. But most of all, I enjoyed seeing how the captain always managed to find a way to win - relying on friends and crew members, or a technological advantage. When 2017 started, I knew that it might hold enormous potential for Ripple - and for XRP. I'd watched as volume on the exchanges had grown steadily, and crypto was becoming more well-known, even in mainstream investing. Some of the high returns that investors received had been getting press coverage, and these events seemed to portend a year that held more than just "more of the same" that had marked the previous three-year period. Intuitively, I felt that I was living inside a Star Trek episode, where a company possessing high-technology tools (Ripple) was going to encounter conflict and opportunity all in one year. I was not disappointed by 2017. 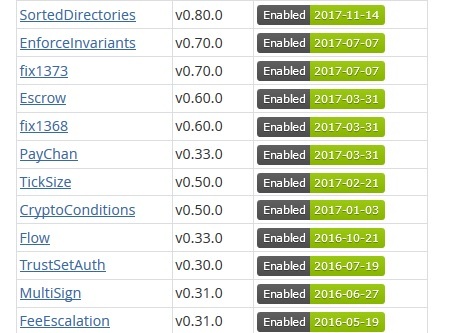 Code development is not normally an activity that is promoted with flashing neon letters, but some of these updates were quite high-profile in the way that they were communicated and marketed. While Ripple has historically taken an arms-length approach to trading of its digital asset, it's clear that their solutions need an active market of XRP liquidity and trading, much like the current ForEx market. This high-volume market didn't exist when they were building some of the components and applications that they've subsequently packaged into solutions. To encourage an active and healthy market for XRP trading, they realized that they needed to allay the commonly-communicated fear that the company would arbitrarily "dump" their holdings of XRP. While it wasn't a logical concern (Ripple would obviously be harming their own ecosystem by this action), Ripple still decided to address it by locking away their own supply of XRP. The question is how this would be done in a way that would allay the fears of ordinary crypto traders, while at the same time providing Ripple with the flexibility to use XRP to champion adoption of its digital asset. This is a conundrum that many organizations encounter that are in charge of championing adoption of their digital asset. 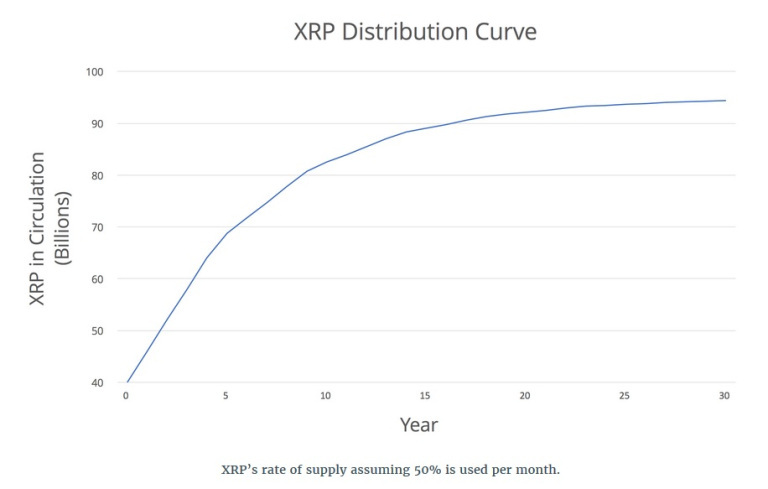 The timing of this decision to place the XRP into escrow corresponded to a sudden surge in the growth of the crypto market; until mid-2017, the crypto market was a small, almost experimental collection of digital assets that were bought and sold by tech-savvy entrepreneurs or experimenters. But this started to change during the second quarter of 2017, and Ripple knew that a more investor-friendly approach was necessary to convince some on the sidelines. Placing their reserve XRP into escrow was the right decision at the right time. Micropayments is a topic that is starting to receive more and more attention from large businesses. A micropayment is what it sounds like - a small payment that is normally considered uneconomical for large payment processors to handle. For example, using a credit card for a very small payment may not make sense due to the comparison of the raw amount of the fees associated with the payment to the payment amount itself. 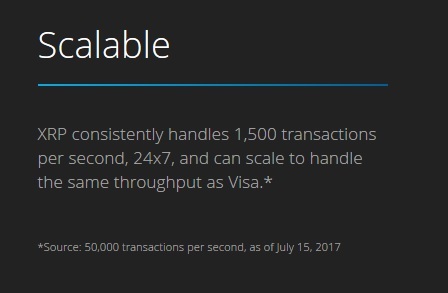 I won't dive into micropayments too deeply, but suffice it to say that Ripple expanded the XRP Ledger's ability to process large payment volumes at a very low cost. Natively, the XRP Ledger possesses incredible speed compared to its digital asset brethren; it can process 1,500 transactions per second. In addition, each transaction costs only a minimum of ten drops - ten one-millionths of one XRP. Ripple's laser focus on transforming payments is a regular drumbeat that could set the standard for metronomes everywhere. This concentration of resources on one specific problem - becoming the worldwide standard in real-time payments - has energized the company and the fan base for the digital asset. Despite this primary focus, 2017 also included some debates about other use cases for the XRP Ledger. In the crypto market, various cryptocurrency networks have been created that specifically cater to individuals who desire anonymity of payment. If you want to know why, you need only look as far as the flourishing marketplaces on the dark web, where cryptocurrency is the coin of the realm, and anonymous cryptocurrencies are the preferred mode of settlement. We're talking about crypto networks such as Zcash, Dash, Verge, and Monero, among others - many others. This use case - anonymous payments - is so large that hundreds of millions in crypto volume flows through these crypto networks each day. Because the XRP Ledger is one of the top three cryptos, and because payments can settle in under four seconds, it's probably a matter of time before XRP is used for this purpose, and unfortunately, on these dark web markets. Like the US Dollar itself, it can be used for any sort of commerce, and this includes dark web transactions. 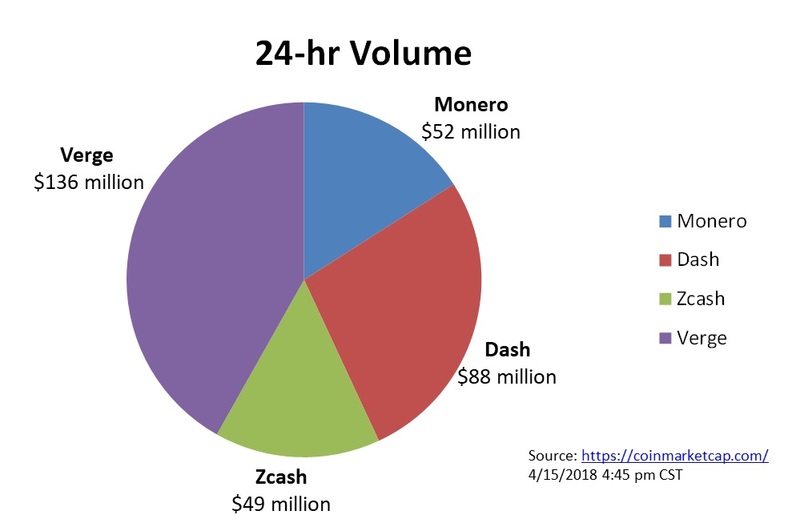 While anonymous payment volume wouldn't add much to the XRP network, it is an unexpected use case. Thus far, (and thankfully, as I'm sure most XRP investors would agree) I'm not aware of XRP being used in this anonymous fashion. Lock It Up and Forget It? Not to be outdone by Ripple's own use of the XRP Ledger's escrow function, a community application called "Reservoir Lite" was developed by a private company known as Secure Block Chains. 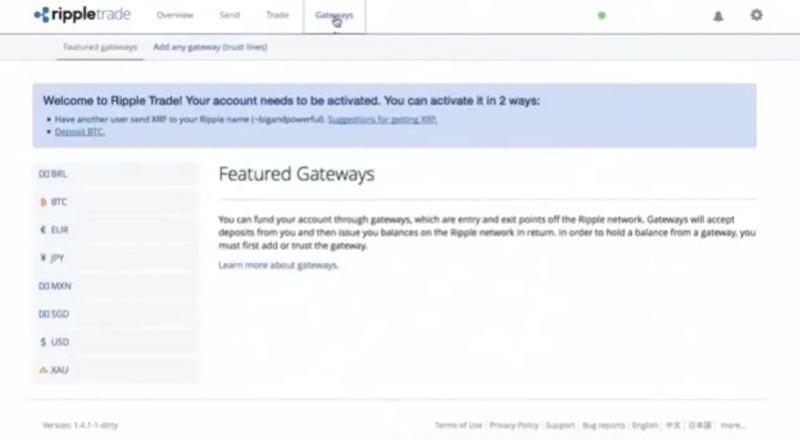 This application allows ordinary XRP Ledger users to create an escrow transaction, essentially "locking away" their own XRP for a specific time frame. Because this feature was new to the XRP Ledger, making it available to the masses ahead of individual wallet support was a smart move by Secure Block Chains; they charge a fee for escrow creation. Secure Block Chains has since expanded to other projects built on the XRP Ledger, and has continued their work in 2018. In December of 2017, a community developer that goes by the Twitter handle Wietse Wind created an application that allows individuals to tip on Reddit. Subsequently, he expanded this capability to Twitter and Discord as well, integrating with each of those applications. 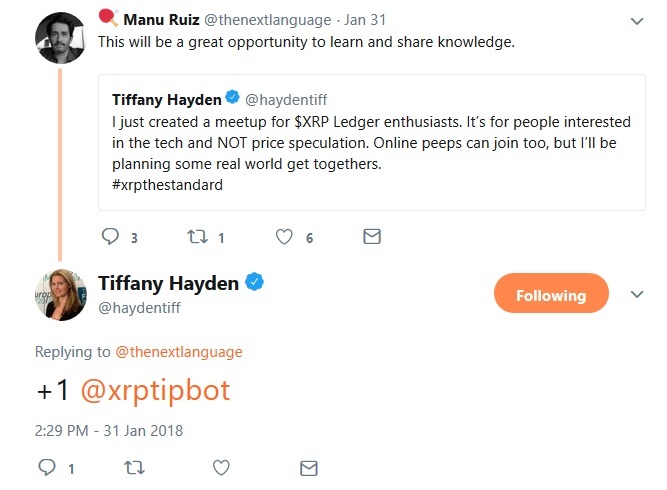 The application is incredibly intuitive, and the developer seems to have a knack for creating very user-friendly apps; to tip somebody in Reddit, Twitter, or Discord, the poster just needs to reply to that person as they would normally, and then add the phrase "+1 @xrptipbot". Of course, unless they have an existing tip balance, it won't work, but even that is extremely easy. They can tip amounts that they've already received (no deposit required), or they can deposit additional funds if they wish to tip more than they receive. To deposit funds, the application works much like how exchanges use XRP wallets - a tag system separates out the amounts between users. This application has been used many times on social media, and it's been a great tool to raise XRP's profile with those that may not already know about it. The application is very easy to use, and the main website doesn't even need you to specify a user ID or password - it lets the individual social media applications do the authorization. Once you're logged in, you can choose to either withdraw your tipped amounts, or to deposit more. During 2017, XRPChat exploded in membership. In just over a year, the membership in the XRP online forum increased by somewhere in the neighborhood of 600%.9 It reflected the increasing mainstream investor interest in crypto investing, and in access to good information about the various choices. The community conducted a number of promotions and interactions (polls and blog thread topics) that benefited XRP by raising its profile among crypto enthusiasts. Some of these were semi-spontaneous, such as more than one graphic arts thread, a music thread, and other such topics. Others were more formal, and involved a planner or site moderator doing most of the organizing. You've heard of the "Bitcoin pizza?" 10 If you haven't, it's a popular story among crypto enthusiasts about a person that, back in 2010, paid 10,000 bitcoins for two pizzas. Of course, in retrospect, the developer that purchased the pizzas had no idea that Bitcoins would eventually command a value measured in the thousands, but it served to demonstrate one of the first stories to promote a feeling of "FOMO," or "fear of missing out." The thread to the post contains sometimes-conflicting information, but suffice it to say that I expect in 2018 this story will become almost as infamous as the "Bitcoin Pizza Guy." An XRPChat Moderator, @Mercury, organized the "Something Shiny Comes This Way" promotion. It was a promotion whereby individuals could order special one-time-promotion gold, silver, or bronze coins. The coins contained an XRP-related design, and if the purchaser wished, the coins would also contain a scratch-off area on the reverse where a secret key would be inscribed with a specific amount of XRP. This promotion was combined with another of @Mercury's promotions from earlier in mid-2017. These promotions generated excitement with the existing XRP investment group, in addition to achieving a higher level of recognition within the crypto space. My hope is that community promotions in 2018 generate a similar level of excitement. One topic that I neglected to cover in the history installment of the years 2014-2016 was the popularity of the Ripple-designed public wallet. 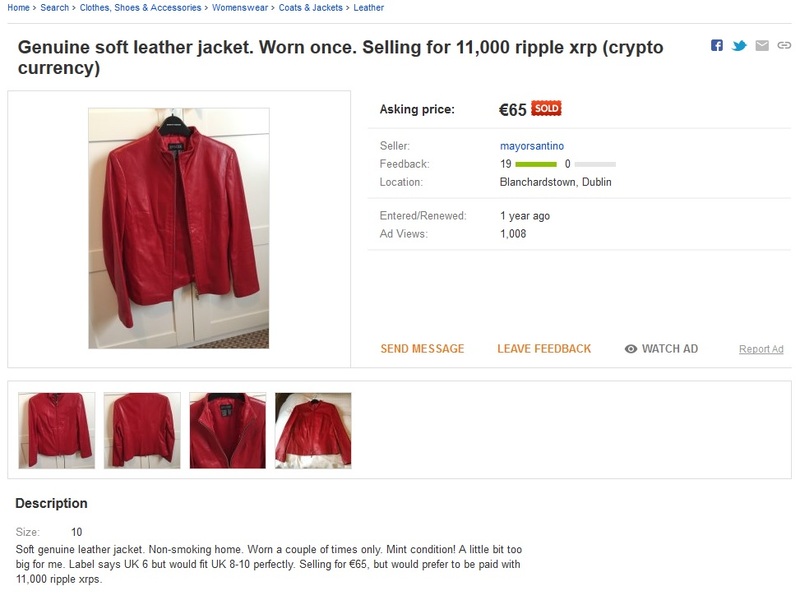 The wallet was known by the name "RippleTrade." The RippleTrade wallet was one of the most advanced wallets I'd ever used; it contained a smooth and intuitive interface that organized the contents of the XRP wallet, and then integrated it with the XRP Ledger's built-in distributed exchange. The trade screen showed offers and bids much like modern online exchanges do currently. However, after Ripple paid a FINCEN fine, they decided to reduce risk in the KYC and AML areas. One of these risk-reduction steps was the outsourcing of the wallet business to an exchange that could implement KYC and AML outside of Ripple. Above is a grainy picture of the old wallet (RippleTrade). It was replaced by a wallet from Gatehub, with whom Ripple contracted the wallet side of their business. 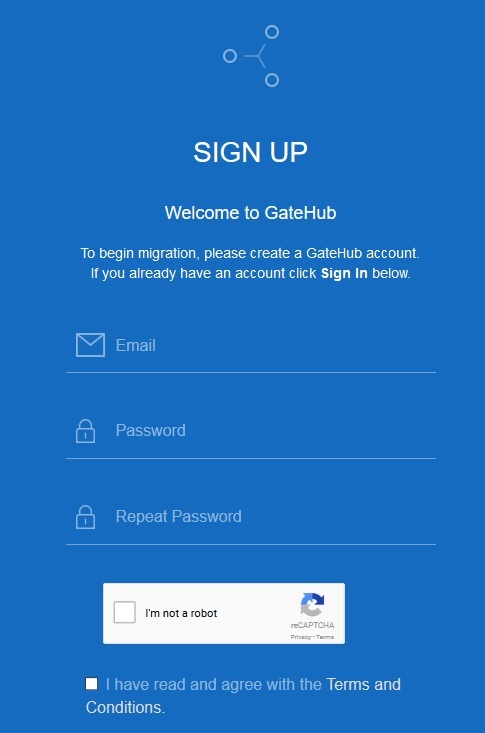 The Gatehub wallet is impressive in its own right, and has much of the functionality of the old wallet; however, it is an exchange-based solution, and required a certain level of trust in the exchange itself. I do not trust exchanges. From my own perspective, exchanges have always been the weak link in the crypto chain, so to speak, and the Mt Gox fiasco was a reminder that your cryptocurrency is only as secure as your private keys, no matter how "big" the exchange is. At the time of Mt Gox's downfall, it was the largest crypto exchange in existence, and handled the majority of the world's Bitcoin trading. However, all of these factors didn't stop it from being hacked. Perhaps I shouldn't be so untrustworthy, but that's my own perspective. I'd rather have a nice, local wallet that allows me to access the network when and how I see fit; while RippleTrade may have been a hosted wallet, it was built by Ripple, and because of that, I felt it was trustworthy. I'm not going over this information as a "sour grapes" sort of commentary - I managed to keep active in my XRP trading capabilities despite not having my favorite wallet choice - there were plenty of exchanges and wallets to choose from, but in each case, there's an uneasiness due to the fact that I haven't reviewed the code personally, and I'm using code that was not developed by Ripple (the company). It requires a bit of due diligence, which is not completely unlike other choices in the crypto market. The fan base was forced to abandon their favorite wallet that was built by Ripple, and I think most of us understood that Ripple had to maintain focus on its core business, which was not building wallet applications. Even so, XRP supporters consistently reminded Ripple that they'd like a nice, easy-to-use consumer wallet for the "average Joe" investor so that XRP adoption with mainstream investors would be eased. 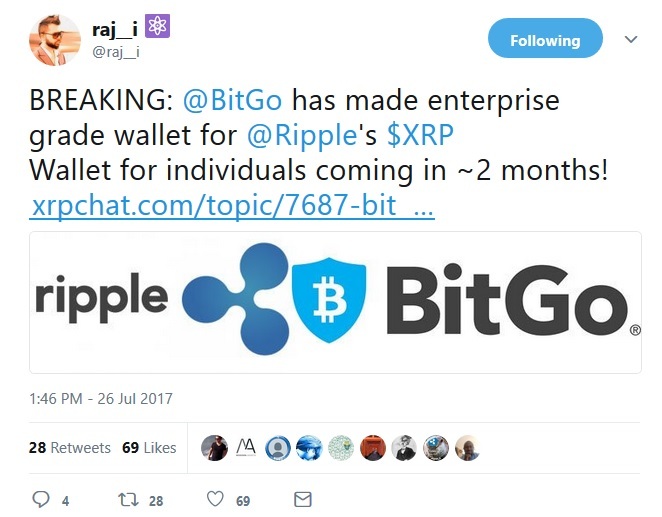 When new XRP investors did manage to find their way to XRPChat (and purchase some XRP), they would inevitably ask about wallets. And then somebody would have to break it to them that there is no company-issued consumer wallet, and that they'd have to either trust an exchange, or else take a chance on a wallet that had been coded by somebody else. The message was not always received positively. This tweet was not just wishful thinking - it was based off of feedback and an interaction with both David Schwartz and Warren Paul Anderson on XRP Chat. 17 18 But the two months passed, and no wallet was published by BitGo for individual use. I chalked it up to Ripple's consistent focus on banks and other financial institutions, but I'll admit I was disappointed - not just because I couldn't in good faith recommend to my friends and family to use a third party wallet that I wouldn't use myself, but also because not having a Ripple-issued (or at least a Ripple-partner-backed) wallet would stifle adoption by some mainstream investors. That being said, private companies have sprung up to take up the slack, such as the Toast Wallet and the Harbor Wallet, among others. But Rippex recently announced that they would no longer be supporting their own custom XRP wallet, and it had been a popular choice among users. New wallets are on the horizon, however, such as Wietse Wind's Kyte wallet. Perhaps Ripple or one of their business partners (SBI VC?) will release a smooth, highly-secure option to rival the old RippleTrade wallet. 2017 was a year of sudden growth, opportunity, media coverage, and additional revenue for Ripple. If the prior time period was headlined by patient, methodical work, 2017 was the year when the hard work was combined with unequaled opportunity and reward. Ripple moved quickly to seize the largest leadership role in both crypto and banking, demonstrating to the world that these two concepts will now be permanently joined at the hip; blockchain technology and banking will be inseparable going forward. No retrospective of 2017 would be complete without mentioning Ripple's planning and execution of the SWELL conference. SWIFT held its first conference in 1978. Since then, every year SWIFT has organized and held its conference at different locations where its member correspondence banks are located. And in 2017, the SIBOS conference was planned to be held at Toronto, Canada. Ripple had a choice to make: Would they accept their role as "just another vendor," despite SWIFT's very purposeful marginalization of their technology? Or would they try for something bigger - would they take a risk? Of course, now we know the answer, but back then, it must have seemed like a pins-and-needles decision for the Ripple leadership; after all, they had a lot riding on their carefully cultivated image as the "responsible child" of the crypto group. They were the company that wanted to enable banks and other financial institutions to use blockchain technology, whereas some other members of the Bitcoin community were comprised of a rogue anarchist element that had a very anti-establishment perspective. In the end, Ripple did what was necessary - in fact, they did what SWIFT forced them to do - become the new leader of inter-bank commerce and technology. This all happened from October 16th through 19th, and while Ripple was (and is) very careful with its public image, they "went big" in this instance, unafraid to promote their own technology in opposition to existing SWIFT legacy technology. After SWELL, the momentum of the market and the future of banking technology was clearly behind Ripple. Brad Garlinghouse knows what to do with momentum; he followed up SWELL with a conference of central bankers in New York's Carnegie Hall. Ripple wasn't waiting for the G20 to meet with central bankers. 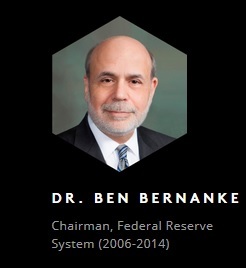 They planned and held the Central Bank Summit on Blockchain at Carnegie Hall, hosting over two dozen central bank representatives. 20 Ripple coordinated meetings, presentations, and other gatherings to educate central banks on all aspects of blockchain technology, and the meetings included a keynote address by a member of the International Monetary Fund (IMF), Dong He. "The last issue concerns the choice of technology used to support the CBDC. The form and broad design of the CBDC eco-system will eventually reflect the development and maturing of fintech technologies. These technological and organizational choices raise several questions, such as: can the chosen technology be made secure, and can speed be maintained? What does it imply as to who bears the costs of operating, maintaining, and developing the digital currency?" The IMF seems to understand the economic benefits of an increased velocity of money, and what blockchain technology such as Ripple could do to supercharge the worlds' economies. And from statements like this, it's evident that even conservative central bankers may be warming up to the idea of decentralized, trust-less, no-counter-party digital assets. In 2017, SWELL and the Central Bank Summit on Blockchain solidified the industry's perception that technology leadership had now been transferred to Ripple. XRP was the digital asset that provided the highest rate of returns for all investment choices in the crypto market. This role has been widely reported on, but payment volume also went through an incredible transformation in 2017 for XRP. To arrive at this smoothed chart, I started with two data points from each month, then averaged to get a monthly average. 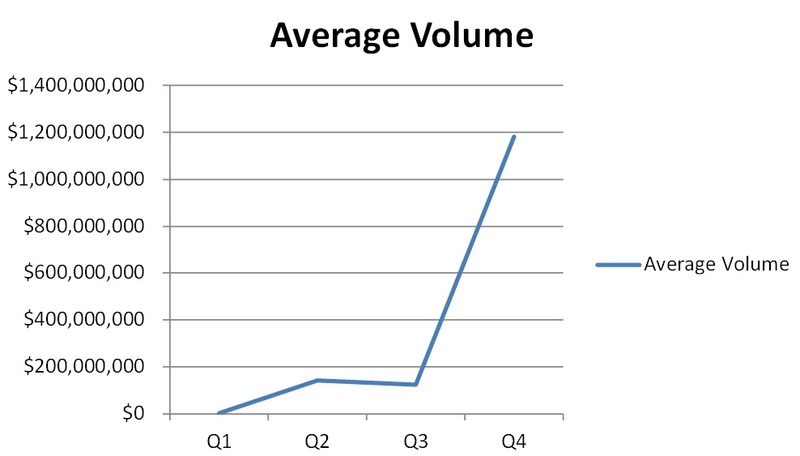 I then took those numbers and created a quarterly average to smooth the data to the shape above. The overall trend is unmistakable, but you can see that XRP is not immune from the overall crypto market, and during the third quarter the crypto market encountered both Bitcoin code governance issues (forks), and also issues with Chinese regulation. This put a dent in the market growth that was very temporary, and the volume numbers grew at an increasing pace in quarter four. SWIFT did not understand Brad Garlinghouse. Their goal - and their actions demonstrate this - was to ignore Ripple technology and hope that its member banks didn't feel pressured to upgrade their technology. Many of SWIFT's member banks are complicit in a correspondence banking model that continues to make money off of a system of value transfer that takes days to move money from one country to another. In many interviews and articles leading up to 2017, SWIFT commented about blockchain technology with a mixture of willful ignorance, arrogance, and skepticism. It never mentioned its strongest competitor - Ripple - by name, and instead opted to attempt to ignore the Silicon Valley company. Consider how absent logic is from this strategy. 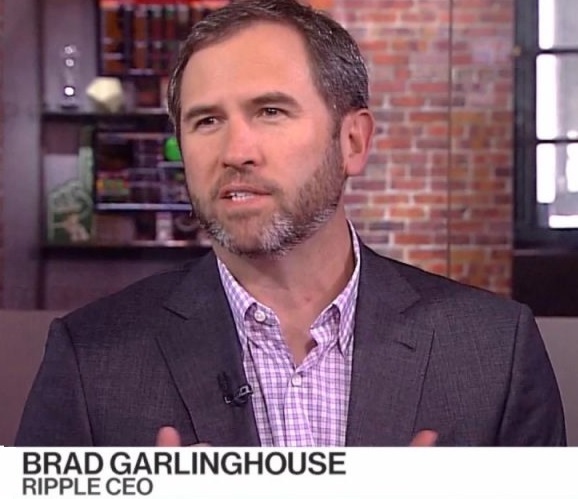 Brad Garlinghouse is not one to keep silent - he is the author of the Peanut Butter Manifesto, and he was willing to take a risk in writing that letter to his fellow Yahoo executives at the time; it was a wake-up call for the company. 23 24 Was it any wonder that he opted to "go big" in response to SWIFT's attempted marginalization of blockchain technology? It shouldn't be a surprise, and now SWELL will probably become the banking industry's go-to conference to learn about new technology, and specifically distributed ledger technology (DLT). As 2018 rolls forward, know this; we have a hard-working tactician sitting in the captain's chair, and he's not afraid to take a risk when it really matters.